This article was written by Adam Cecil of PolicyGenius. Being a freelancer makes budgeting at least twice as difficult as being a salaryman: You have to build a personal budget and a business budget, making sure that the books stay clean and the IRS has no reason to audit you. Plus, you don't always have a steady flow of income - your month-to-month income will likely look a little bit like a rollercoaster. On top of all that money business and the business of money, freelancers also have to be very strict about their time. If you bill by the hour, you need to know how many hours you worked on something. And if you don't, well, you still want to make sure you're not wasting time on a project that's not paying as much as a different project. To help you out with that task, we put together this list of three awesome budgeting apps that will help you budget your personal life, budget your business, and budget your time. I love You Need A Budget. I don't get paid for recommending it but I really wish I did - if I had a dollar for every person I converted to using it, I'd have at least enough money to buy a burrito or something. You Need A Budget (YNAB for short) is hands down the best way I've found to handle my own personal finances. It connects to your bank accounts just like popular competitor Mint.com does, but unlike Mint, YNAB can actually help you change your bad money habits and keep up the good habits. If you stick with YNAB, you'll be highly discouraged from overspending or taking on additional personal debt you don't need. If you want more information on YNAB, please read one of my two reviews (I seriously love this program). QuickBooks Self-Employed is the gold standard for freelancers and other independent contractors. It's designed to help you separate your personal expenses from your business expenses and make your quarterly and year-end tax times easy as pie. 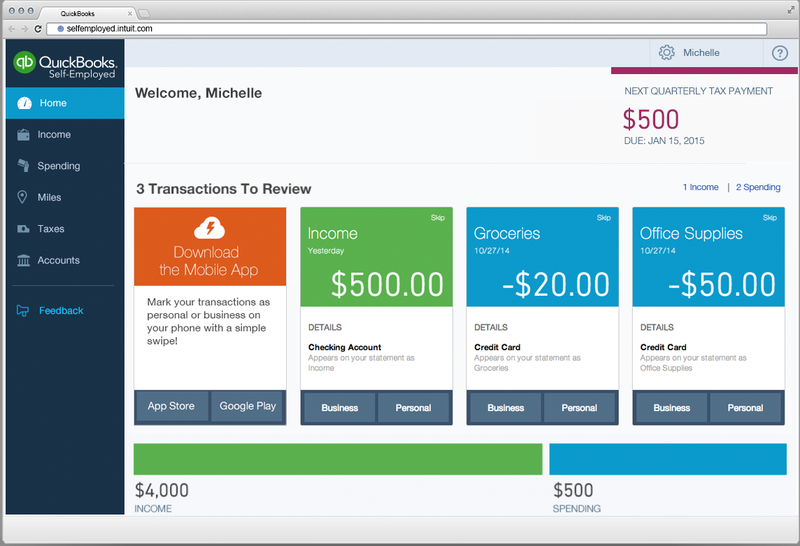 On top of that, QuickBooks Self-Employed has a bunch of features designed to make tracking your business expenses easy. For example, the app can track your mileage automatically based on how fast your phone is moving through space. You can use the app to take photos of your receipts, too - a slightly less exciting but still important feature. And once you categorize your transactions, it can find tax deductions for you. Then, every quarter, QuickBooks Self-Employed can help you file for taxes using TurboTax. It's so easy, you'll forget that you actually have extra work to do to file your taxes! There are a ton of time-tracking apps out there, but a lot of them only work on your phone or work on your phone and your smartwatch or work by sending smoke signals to the cloud and hoping for the best. 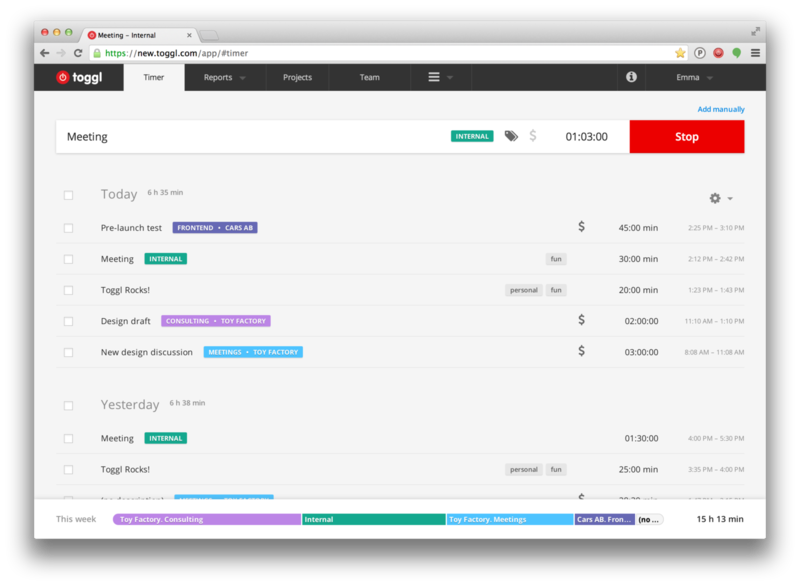 Toggl, on the other hand, works everywhere: iOS, Android, Windows, Linux, Mac, and even in the Chrome browser. Plus, its basic features are always free for up to five users per team, so if you do contract work with more than one person, both of you can track time for free forever. There are a ton of Pro features that may be worth paying for: adding billable rates, exporting to PDF and Excel, a project dashboard. Pro plans start at $10 per user per month. When it comes to being a freelancer, there are a ton of new finance tricks you'll have to learn. Tax breaks, 1099 forms, liability insurance - it makes life more complicated, but the rewards are more than worth it. Being able to work for yourself, choose your own projects, and set your own schedule is well worth the added complexity of your financial situation. Want more freelancer resources? Check out our giant Freelancers Center, chock full of guides and articles for all of your freelance needs. Have more budgeting apps that you want to suggest? Leave a comment below!